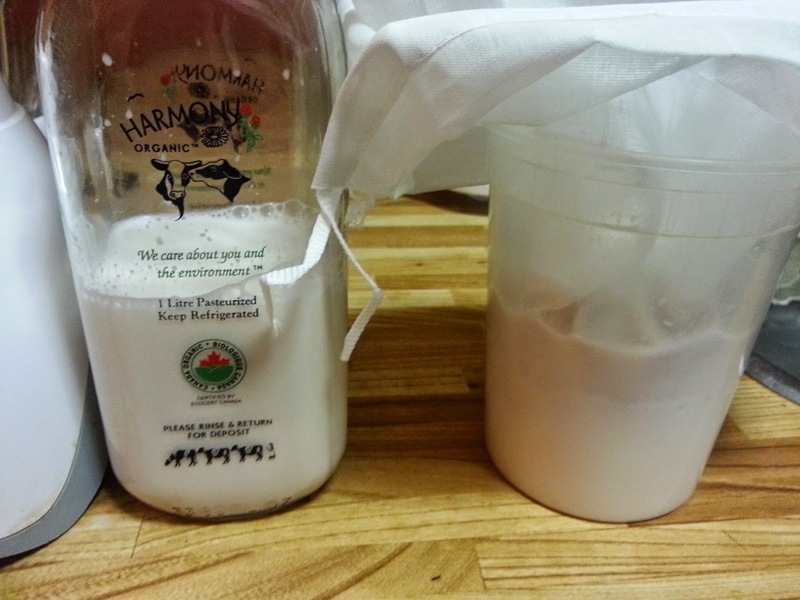 How to make almond milk, the quick and easy way! 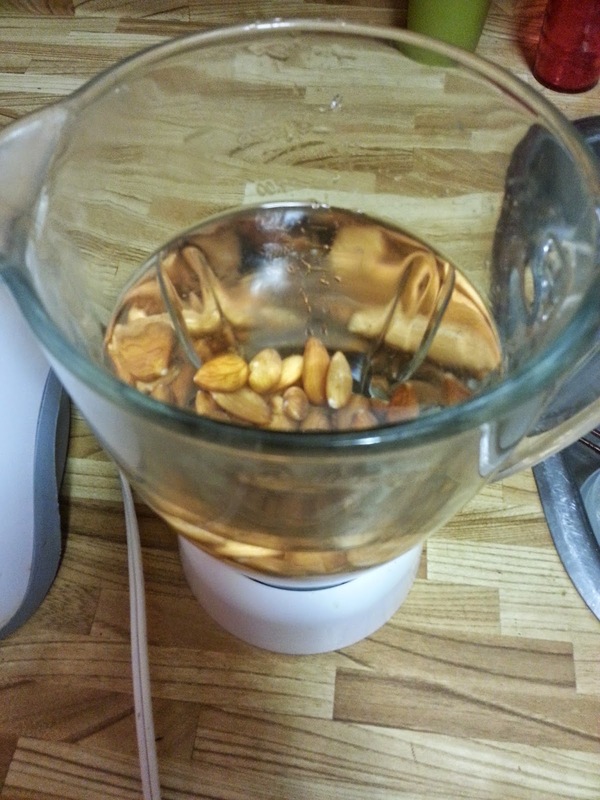 Soak the almonds overnight in water, in the fridge. 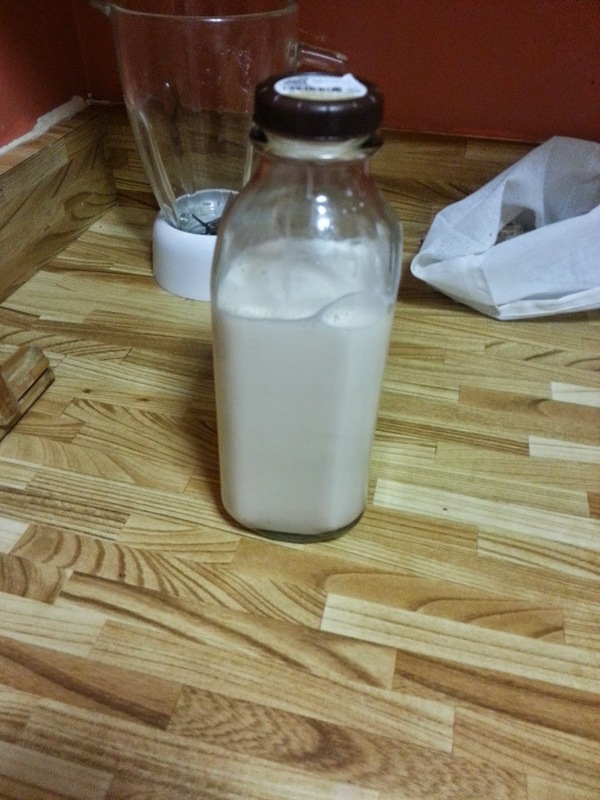 This step isn't strictly necessary, but it makes for a much nicer and nuttier milk. 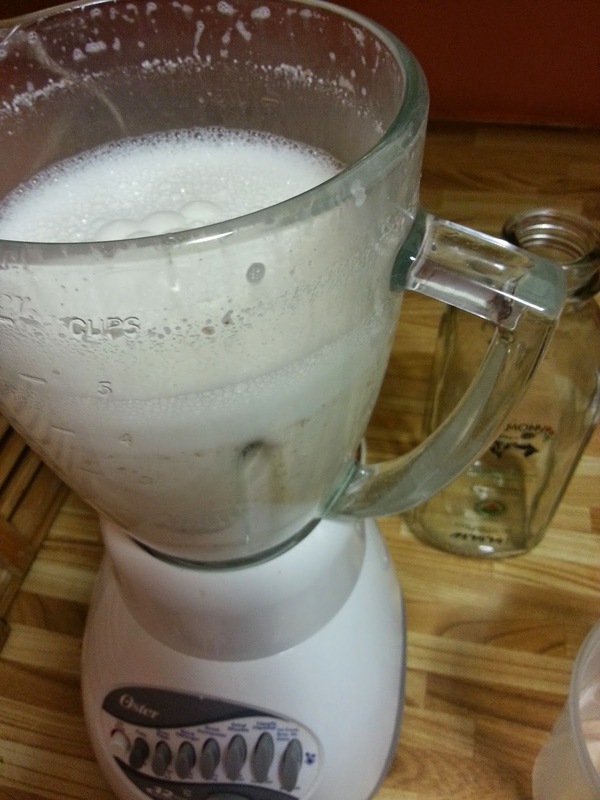 Let the blender blend for at least a minute, at its highest speed. The longer it blends, the better the milk will be. I blend around 1-2 minutes I think. Not that I've ever timed it or anything. 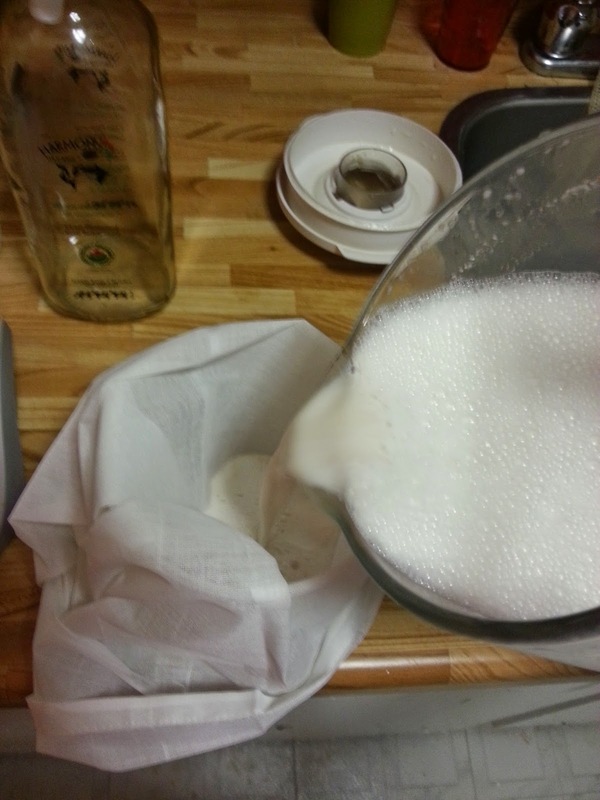 Take your nut milk bag and open it. 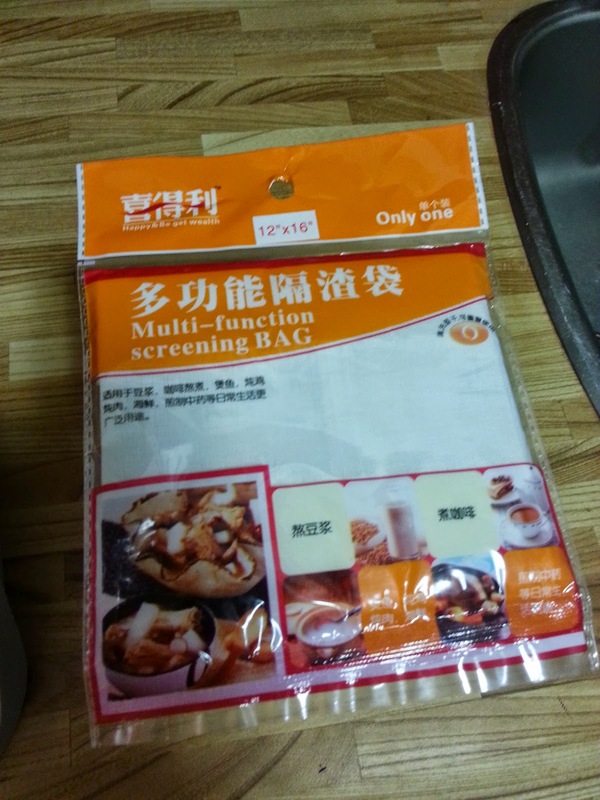 I found soup bags for super cheap at the local Asian super market, so that's what I use. $1.29! 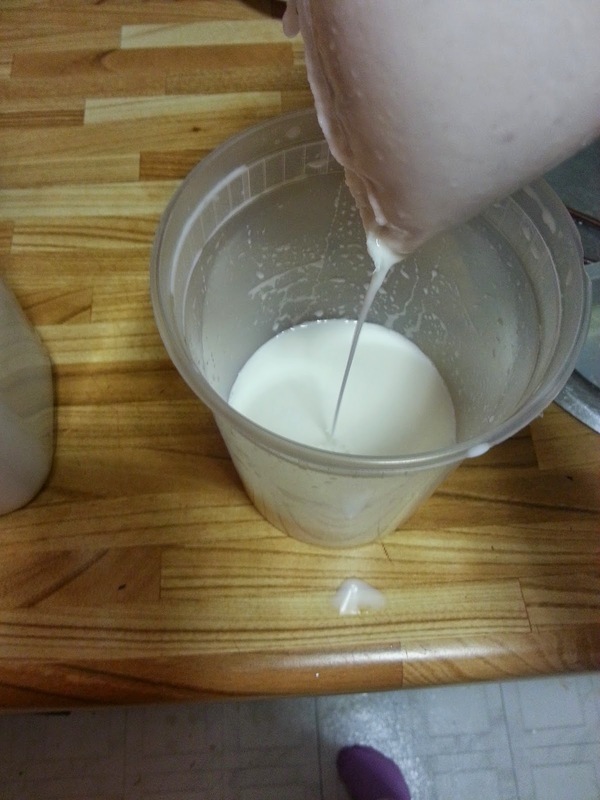 Put your bowl in front of you, and pour the nut milk in the blender into the bag, allowing it to drain into the bowl. You'll note in the pics that I'm not using a nice big bowl with a spout. Don't do this. It can be very messy! When it gets to the point where the last of the liquid is straining through the bag, give the bag a gentle squeeze to help it out. Don't be too aggressive though--I learned the hard way that trying to make sure you get every last drop with too much enthusiasm resulted in some of the almond meal getting through the mesh of the bag. Which meant that I had to strain it again. Oil. Trust me--gentle but firm works best! The end result is beautiful isn't it? So purdy and white.